As long as it's not a Superfund site I'm good. We've got a lot of outside in these parts. But if a Northwest Forest Pass or a State Park pass is beyond your means you can always find a rustic abandoned industrial site and have a great time. Just be careful of rebar sticking out of concrete blocks when wading in the water, trains, and partying teenagers. 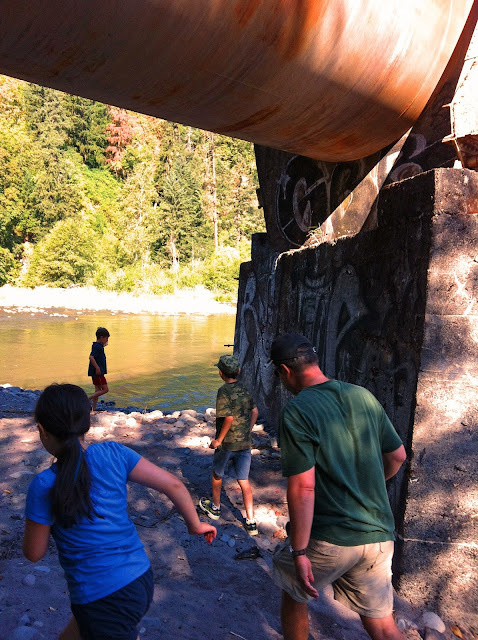 Remember, Boring Oregon City isn't a place (it's actually two places), so get out there and have some fun!